A beautiful blend of history and romance. I took my time reading this novel as it was such an interesting read I didn't want to miss any detail. The settings and characters were so richly developed I found myself completely immersed in their story, time period and could have quite happily stayed there a little bit longer. I liked that congressman Luke Callaghan was not simply a dashing hero to the rescue, but was instead a flawed individual who recognised his own weaknesses and struggled with his inner demons. And ultimately, in the end, having the strength of character to be the man he'd always striven to be. Anna O' Brien, slow to anger and quick to forgive, is his polar opposite and exactly what he needs. A working friendship soon blossoms into respect and love for each other. The political intrigue of the time period fascinated me and it added to the tension in the story. The very real inequalities of being a woman in a man's world also heaped added pressure on Anna and highlighted her strong, admirable character. 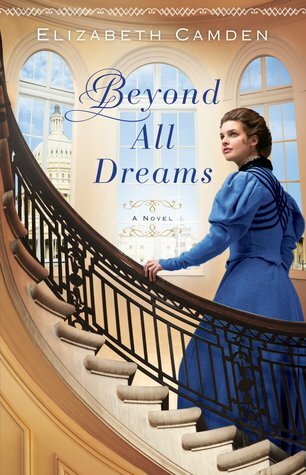 Both have their own agendas to pursue on Capitol Hill and Anna's obsession with uncovering the truth about her father's death has far reaching consequences, the likes of which has the potential to destroy their fledgling romance and thrust the country into war.